Leroy Barber grew up in rural New London, Wisconsin, hunting and fishing with two of his brothers. He enlisted in the Navy, trained at the Great Lakes facility north of Chicago and was assigned to a battleship. 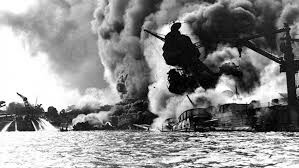 What are the lessons to be learned and remembered from the attack on Pearl Harbor?